For the journal, see Almagest (journal). The Almagest (/ˈælməˌdʒɛst/) is a 2nd-century Greek-language mathematical and astronomical treatise on the apparent motions of the stars and planetary paths, written by Claudius Ptolemy (c. AD 100 – c. 170). One of the most influential scientific texts of all time, its geocentric model was accepted for more than 1200 years from its origin in Hellenistic Alexandria, in the medieval Byzantine and Islamic worlds, and in Western Europe through the Middle Ages and early Renaissance until Copernicus. Ptolemy set up a public inscription at Canopus, Egypt, in 147 or 148. N. T. Hamilton found that the version of Ptolemy's models set out in the Canopic Inscription was earlier than the version in the Almagest. Hence it cannot have been completed before about 150, a quarter-century after Ptolemy began observing. The work was originally titled "Μαθηματικὴ Σύνταξις" (Mathēmatikē Syntaxis) in Ancient Greek, and also called Syntaxis Mathematica or Almagestum in Latin. The treatise was later titled Hē Megalē Syntaxis (Ἡ Μεγάλη Σύνταξις, "The Great Treatise"; Latin: Magna Syntaxis), and the superlative form of this (Ancient Greek: μεγίστη, megiste, "greatest") lies behind the Arabic name al-majisṭī (المجسطي), from which the English name Almagest derives. The Arabic name is important due to the popularity of a Latin re-translation made in the 12th century from an Arabic translation, which would endure until original Greek copies resurfaced in the 15th century. The Syntaxis Mathematica consists of thirteen sections, called books. As with many medieval manuscripts that were handcopied or, particularly, printed in the early years of printing, there were considerable differences between various editions of the same text, as the process of transcription was highly personal. An example illustrating how the Syntaxis was organized is given below. It is a Latin edition printed in 1515 at Venice by Petrus Lichtenstein. Book I contains an outline of Aristotle's cosmology: on the spherical form of the heavens, with the spherical Earth lying motionless as the center, with the fixed stars and the various planets revolving around the Earth. Then follows an explanation of chords with table of chords; observations of the obliquity of the ecliptic (the apparent path of the Sun through the stars); and an introduction to spherical trigonometry. Book II covers problems associated with the daily motion attributed to the heavens, namely risings and settings of celestial objects, the length of daylight, the determination of latitude, the points at which the Sun is vertical, the shadows of the gnomon at the equinoxes and solstices, and other observations that change with the spectator's position. There is also a study of the angles made by the ecliptic with the vertical, with tables. Book III covers the length of the year, and the motion of the Sun. Ptolemy explains Hipparchus' discovery of the precession of the equinoxes and begins explaining the theory of epicycles. Books IV and V cover the motion of the Moon, lunar parallax, the motion of the lunar apogee, and the sizes and distances of the Sun and Moon relative to the Earth. Book VI covers solar and lunar eclipses. Books VII and VIII cover the motions of the fixed stars, including precession of the equinoxes. They also contain a star catalogue of 1022 stars, described by their positions in the constellations, together with ecliptic longitude and latitude. 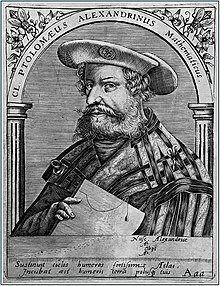 Ptolemy states that the longitudes (which increase due to precession) are for the beginning of the reign of Antoninus Pius (138 AD), whereas the latitudes do not change with time. (But see below, under The star catalog.) The constellations north of the zodiac and the northern zodiac constellations (Aries through Virgo) are in the table at the end of Book VII, while the rest are in the table at the beginning of Book VIII. The brightest stars were marked first magnitude (m = 1), while the faintest visible to the naked eye were sixth magnitude (m = 6). Each numerical magnitude was considered twice the brightness of the following one, which is a logarithmic scale. (The ratio was subjective as no photodetectors existed.) This system is believed to have originated with Hipparchus. The stellar positions too are of Hipparchan origin, despite Ptolemy's claim to the contrary. Ptolemy identified 48 constellations: The 12 of the zodiac, 21 to the north of the zodiac, and 15 to the south. Book IX addresses general issues associated with creating models for the five naked eye planets, and the motion of Mercury. Book X covers the motions of Venus and Mars. Book XI covers the motions of Jupiter and Saturn. Book XII covers stations and retrograde motion, which occurs when planets appear to pause, then briefly reverse their motion against the background of the zodiac. Ptolemy understood these terms to apply to Mercury and Venus as well as the outer planets. Book XIII covers motion in latitude, that is, the deviation of planets from the ecliptic. The cosmology of the Syntaxis includes five main points, each of which is the subject of a chapter in Book I. What follows is a close paraphrase of Ptolemy's own words from Toomer's translation. The celestial realm is spherical, and moves as a sphere. The Earth is at the center of the cosmos. The Earth, in relation to the distance of the fixed stars, has no appreciable size and must be treated as a mathematical point. As mentioned, Ptolemy includes a star catalog containing 1022 stars. He says that he "observed as many stars as it was possible to perceive, even to the sixth magnitude", and that the ecliptic longitudes are for the beginning of the reign of Antoninus Pius (138 AD). But calculations show that his ecliptic longitudes correspond more closely to around 58 AD. He states that he found that the longitudes had increased by 2° 40′ since the time of Hipparchos. This is the amount of axial precession that occurred between the time of Hipparchos and 58 AD. It appears therefore that Ptolemy took a star catalog of Hipparchos and simply added 2° 40′ to the longitudes. Even without the errors introduced by copyists, and even accounting for the fact that the longitudes are more appropriate for 58 AD than for 137 AD, the latitudes and longitudes are not very accurate, with errors of large fractions of a degree. Some errors may be due to atmospheric refraction causing stars that are low in the sky to appear higher than where they really are. A series of stars in Centaurus are off by a couple degrees, including the star we call Alpha Centauri. These were probably measured by a different person or persons from the others, and in an inaccurate way. Other classical writers suggested different sequences. Plato (c. 427 – c. 347 BC) placed the Sun second in order after the Moon. Martianus Capella (5th century AD) put Mercury and Venus in motion around the Sun. Ptolemy's authority was preferred by most medieval Islamic and late medieval European astronomers. Ptolemy inherited from his Greek predecessors a geometrical toolbox and a partial set of models for predicting where the planets would appear in the sky. Apollonius of Perga (c. 262 – c. 190 BC) had introduced the deferent and epicycle and the eccentric deferent to astronomy. Hipparchus (2nd century BC) had crafted mathematical models of the motion of the Sun and Moon. Hipparchus had some knowledge of Mesopotamian astronomy, and he felt that Greek models should match those of the Babylonians in accuracy. He was unable to create accurate models for the remaining five planets. The Syntaxis adopted Hipparchus' solar model, which consisted of a simple eccentric deferent. For the Moon, Ptolemy began with Hipparchus' epicycle-on-deferent, then added a device that historians of astronomy refer to as a "crank mechanism": He succeeded in creating models for the other planets, where Hipparchus had failed, by introducing a third device called the equant. 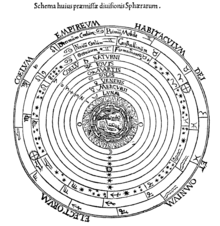 Ptolemy wrote the Syntaxis as a textbook of mathematical astronomy. It explained geometrical models of the planets based on combinations of circles, which could be used to predict the motions of celestial objects. In a later book, the Planetary Hypotheses, Ptolemy explained how to transform his geometrical models into three-dimensional spheres or partial spheres. In contrast to the mathematical Syntaxis, the Planetary Hypotheses is sometimes described as a book of cosmology. Ptolemy's comprehensive treatise of mathematical astronomy superseded most older texts of Greek astronomy. Some were more specialized and thus of less interest; others simply became outdated by the newer models. As a result, the older texts ceased to be copied and were gradually lost. Much of what we know about the work of astronomers like Hipparchus comes from references in the Syntaxis. Ptolemy's Almagest became an authoritative work for many centuries. The first translations into Arabic were made in the 9th century, with two separate efforts, one sponsored by the caliph Al-Ma'mun. Sahl ibn Bishr is thought to be the first Arabic translator. By this time, the Syntaxis was lost in Western Europe, or only dimly remembered. Henry Aristippus made the first Latin translation directly from a Greek copy, but it was not as influential as a later translation into Latin made by Gerard of Cremona from the Arabic (finished in 1175). Gerard translated the Arabic text while working at the Toledo School of Translators, although he was unable to translate many technical terms such as the Arabic Abrachir for Hipparchus. In the 12th century a Spanish version was produced, which was later translated under the patronage of Alfonso X. In the 15th century, a Greek version appeared in Western Europe. The German astronomer Johannes Müller (known, from his birthplace of Königsberg, as Regiomontanus) made an abridged Latin version at the instigation of the Greek churchman Johannes, Cardinal Bessarion. Around the same time, George of Trebizond made a full translation accompanied by a commentary that was as long as the original text. George's translation, done under the patronage of Pope Nicholas V, was intended to supplant the old translation. The new translation was a great improvement; the new commentary was not, and aroused criticism. The Pope declined the dedication of George's work, and Regiomontanus's translation had the upper hand for over 100 years. During the 16th century, Guillaume Postel, who had been on an embassy to the Ottoman Empire, brought back Arabic disputations of the Almagest, such as the works of al-Kharaqī, Muntahā al-idrāk fī taqāsīm al-aflāk ("The Ultimate Grasp of the Divisions of Spheres", 1138/9). Commentaries on the Syntaxis were written by Theon of Alexandria (extant), Pappus of Alexandria (only fragments survive), and Ammonius Hermiae (lost). The Almagest was edited by J. L. Heiberg in Claudii Ptolemaei opera quae exstant omnia, vols. 1.1 and 1.2 (1898, 1903). Three translations of the Almagest into English have been published. The first, by R. Catesby Taliaferro of St. John's College in Annapolis, Maryland, was included in volume 16 of the Great Books of the Western World in 1952. The second, by G. J. Toomer, Ptolemy's Almagest in 1984, with a second edition in 1998. The third was a partial translation by Bruce M. Perry in The Almagest: Introduction to the Mathematics of the Heavens in 2014. A direct French translation from the Greek text was published in two volumes in 1813 and 1816 by Nicholas Halma, including detailed historical comments in a 69-page preface. The scanned books are available in full at the Gallica French national library. ^ "Almagestum (1515)". Universität Wien. Retrieved 31 May 2014. ^ Ley, Willy (December 1963). "The Names of the Constellations". For Your Information. Galaxy Science Fiction. pp. 90–99. ^ Ptolemy. Almagest. , Book I, Chapter 5. ^ Christian Peters and Edward Knobel (1915). Ptolemy's Catalogue of the Stars – A Revision of the Almagest. p. 15. ^ Peters and Knobel, pp. 9-14. ^ Peters and Knobel, p. 14. ^ Peters and Knobel, p. 112. ^ Michael Hoskin. The Cambridge Concise History of Astronomy. Chapter 2, page 44. ^ See p. 3 of Introduction of the Toomis translation. ^ Halma, Nicolas (1813). Composition mathématique de Claude Ptolémée, traduite pour la première fois du grec en français, sur les manuscrits originaux de la bibliothèque impériale de Paris, tome 1 (in French). Paris: J. Hermann. p. 608. ^ Halma, Nicolas (1816). Composition mathématique de Claude Ptolémée, ou astronomie ancienne, traduite pour la première fois du grec en français sur les manuscrits de la bibliothèque du roi, tome 2 (in French). Paris: H. Grand. p. 524. Olaf Pedersen (1974) A Survey of the Almagest, Odense University Press ISBN 87-7492-087-1. Wikimedia Commons has media related to Almagest. Ptolemy. Almagest. Latin translation from the Arabic by Gerard of Cremona. Digitized version of manuscript made in Northern Italy c. 1200–1225 held by the State Library of Victoria. University of Vienna: Almagestum (1515) PDFs of different resolutions. Edition of Petrus Liechtenstein, Latin translation of Gerard of Cremona.